يعتبر Glenella Guesthouse مبنى تراثي مدرج يقع في الجبال الزرقاء، وعلى مسافة قريبة من جميع المحلات التجارية في وسط بلاكهيث. وتتوفر خدمة الواي فاي المجانية في جميع أنحاء بيت الضيافة. يمكن للضيوف اختيار الإقامة في غرف ضيوف على الطراز التراثي مع حمامات داخلية خاصة أو في الغرف الخاصة الأصلية في الطابق السفلي والتي تشمل مرافق حمام مشترك. ويتوفر مطبخ مفتوح على طراز الشيف إذا كان الضيوف يرغبون في الخدمة الذاتية. يمكن لجميع الضيوف استخدام مختلف مناطق الجلوس وتناول الطعام. يوفر Glenella فرصة لاكتشاف معالم الجذب في المنطقة، بما في ذلك مسار المشي Giant Staircase وKatoomba Scenic Railway. يقع مكان الإقامة على بعد ساعتين بالسيارة من قلب سيدني. Please note that children under the age of 16 cannot be accommodated at Glenella Guest house. Glenella is a lovely old house that sits in a great location near train (but far enough not to hear it) and shops. It has a homely feel and the hosts are lovely and helpful. The kitchen is now avail for guests to cook in. I’ve stayed before and I’m sure I will again. Stay coincided with Rhodo fest weekend. It was great to see this pretty town all alive! 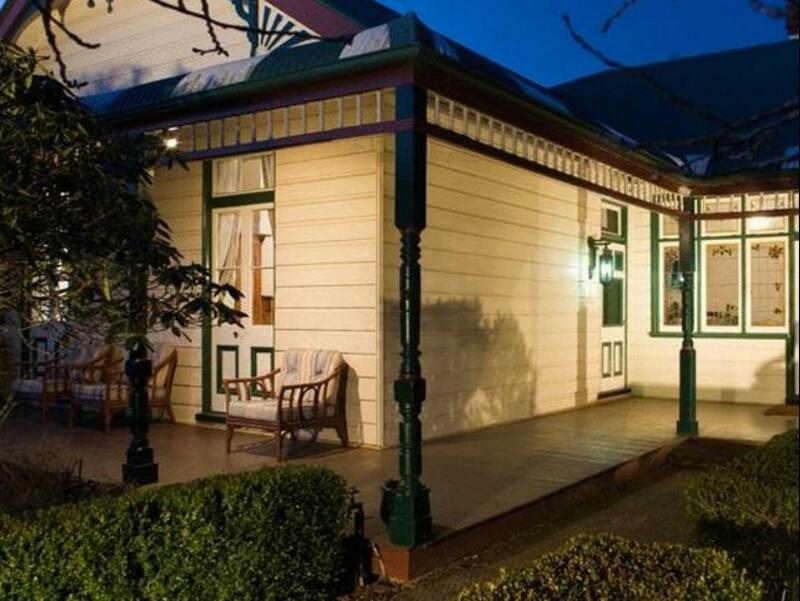 This charming B&B is a great place to stay to see the sights and visit the other cute towns in the blue mountains. Good restaurants within walking distance. Had a fantastic time here, definitely will re visit! Room was very small and walls paper thin to the point you can hear 'what's going on in the next room' quite clearly. Wonderful character in this Victorian guest house. Lovely hosts. Very Clean. Lovely and quiet. Charming and attentive hosts. A massive dining/lounge area to eat the generous breakfast and relax in. Exceptionally clean. Excellent value and bound to attract like-minded people who appreciate character and culture at an affordable price. I love this place and will be back. So does my partner and she's fussy. Food and coffee, friendly staff, clean and comfortable. The friendly owners, the accommodation and the food. A very friendly and relaxing experience. Definitely will return for another opportunity to experience the service, food and relaxing atmosphere. Loved it. Great breakfast. Good location. Charming place! Great!!! We totally enjoyed our Christmas holiday, the company and special efforts of Margaret and Rowan to make our stay memorable. Highly recommend! 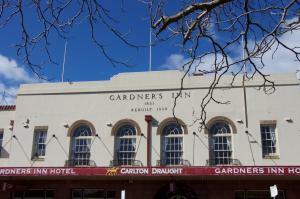 It's a lovely vintage style design, but some renovations would be better I believe. Very yummy homemade breakfast, just that the waiting period is a little big long. Very friendly stuff. Overall is a good experience. Our stay was very good, we were meet on arrival & made very welcome, food was very good, & the location was great. Glenella was a highlight of our trip through NSW. The service and food were fantastic! We will be back. Check in experience was terrible; no staff present, and absolutely no chance of an earlier checkin in (2 hours early ). I Was made to feel like I was intruding by coming early and phoning several times to find staff. Finally checked in at. 2:30 after room was cleaned in afternoon. Room did not get serviced on third day. Was offered on second day. Staff in kitchen were lovely and helpful. Beautiful surrounds. Lovely fireplace and couch in lounge area. Would not return; over priced and accommodation service is certainly not at the price one pays. we really enjoyed our stay, we had visited this area before and I spotted this guest house then and thought it looked nice. The guest house has lots of period features and lots of charm. A roaring log fire in the lounge is a lovely welcome back at the end of the day. The room was fairly small but clean and with a good bathroom. A nice touch was biscuits and good qaultiy tea and coffee selection in the room. We enjoyed our stay. غرفة اقتصادية توأمية بحمام مشترك.